Of Cyril, to Proclus, the Bishop of Constantinople, concerning Theodore of Mopsuestia, asking Proclus that he should not permit him to be anathematized since this would be a cause of disturbance. With difficulty, at times, and with many labors of your holiness and the Holy Synod which assembled at Ephesus, the churches of God everywhere rejected the vain babblings of Nestorius. But throughout the East some were exceedingly vexed at this, not only the laity but also those assigned to the sacred ministry. Just as the more chronic of illnesses are somehow more difficult regarding medication, or even perhaps entirely reject it, so also a soul sick with the rottenness of distorted thoughts and teachings has an illness hard to cast off. Yet by the grace of God either in pretense or in truth they speak and preach one Christ and anathematize the impious verbiage of Nestorius. In the meanwhile things there are in much tranquility and they run toward what is steadfast in the faith day by day, even those who once were tottering. But now, as my lord, the most holy Bishop of Antioch, John, has written to me, the beginning of another storm has arisen among them and quickly there is somehow much alarm lest some of those who are easily carried away would sink down again to what was in the beginning. They said that some arrived at that great city [Constantinople] and then approached the most pious and Christ-loving emperors and demanded through their holy sanction that the books of Theodore of Mopsuestia be anathematized and the man himself, just named. But his name in the East is great and his writings are admired exceedingly. As they say, all are bearing it hard that a distinguished man, one who died in communion with the churches, now is being anathematized. That we find in his writings some things said strangely and full of unmixed blasphemy is doubtful to no one of those who are accustomed to think the truth. 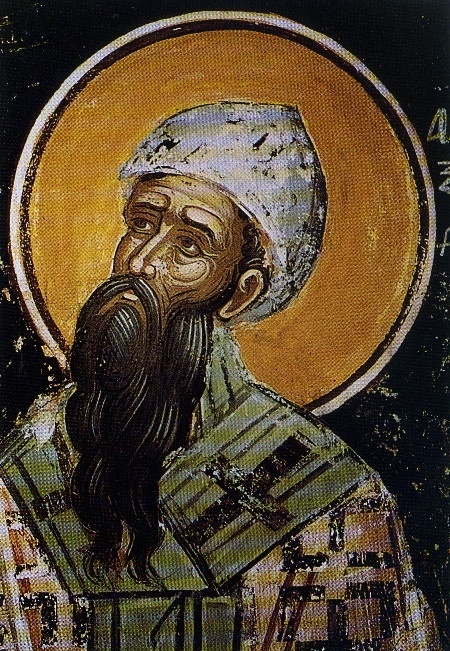 Let your holiness know that when the exposition composed by him was produced at the holy synod [at Antioch called by John], as those who produced it said, containing nothing healthy, the holy synod condemned it as full of perverted thoughts and, as it were, somehow a spring gushing forth the impiety of Nestorius. But while condemning those who think in this way, in prudence the synod did not mention the man, nor did it subject him to an anathema by name, through prudence, in order that some by paying heed to the opinion of the man might not cast themselves out of the churches. Prudence in these matters is the best thing and a wise one. If he were still among the living and was a fellow-warrior with the blasphemies of Nestorius, or desired to agree with what he wrote, he would have suffered the anathema also in his own person. But since he has gone to God, it is enough, as I think, that what he wrote absurdly be rejected by those who hold true doctrines, since by his books being around the chance to go further sometimes begets pretexts for disturbances. And in another way since the blasphemies of Nestorius have been anathematized and rejected, there have been rejected along with them those teachings of Theodore which have the closest connection to those of Nestorius. Therefore, if some of those in the East would do this unhesitatingly, and there was no disturbance expected from it, I would have said that grief at this makes no demands on them now and I would have told them in writing. If, therefore, these words please your holiness, deign to indicate it, in order that it may be settled by a letter from both of us. It is possible even for those who ask these things to explain the prudence of the matter and persuade them to choose to be quiet rather and not to become an occasion of scandal to the churches.